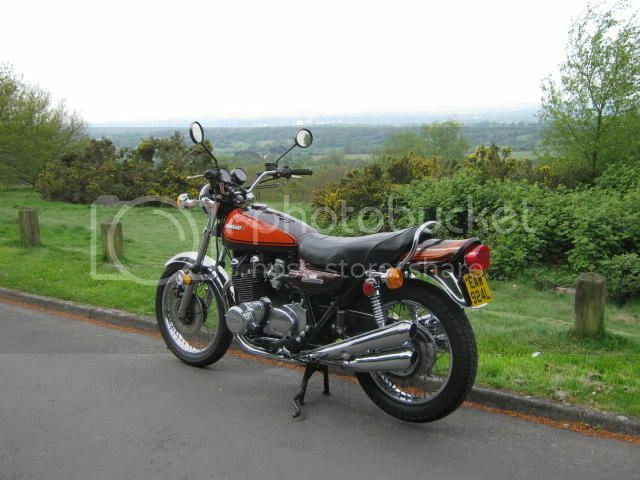 A mate is looking to sell this bike. I used to own it and its very original and unrestored. I will post more info if needed but message me on here or post on this thread if you are genuine and have 16k to spend. If I didnt already have too much stuff then I would buy it back because its a great bike. I will pass on details as the owner is not on here. I can probably also answer most questions as I imported it and owned it for 10 years. If i had the money I would have that. It is an absolute steel at that price. I would wish you luck with the sale but you won't need it. during the course of bidding on ebay there were a few retractions, and a bit of jiggery pokery or idiots with the buttons. Now I say this as I have been conned by shill bidding in the past on a kawasaki four by lets say somebody a lot of people know, and really cant abide the scum who descend to that level . Anyway I'm sure you can vouch for the above just me being paranoid and the £15900 was a genuine bid but it was impossible to agree on the last £100 . When was this bike on ebay ? 16K for a correct original z1= bargain! if i had £16k I'd buy it. rayz1 moan all you like mate, splitting hairs about £100 quid! why didn't you buy it??? or make an offer? contact the buyer?? i thought us scots were meant to be miserable tight, moany bastards..
trying to send u a pm ref. this but it is stuck in my outbox for some reason. can u txt me ur email to 07981 247 474 so we can discuss please? 8 Valve Mark wrote: if i had £16k I'd buy it. rayz1 moan all you like mate, splitting hairs about £100 quid! why didn't you buy it??? or make an offer? contact the buyer?? i thought us scots were meant to be miserable tight, moany bastards..